Sciton Profile is a multi-faceted, FDA-approved erbium laser that we use for treating facial wrinkles, scars, hyperpigmentation (brown spots) & benign skin growths. 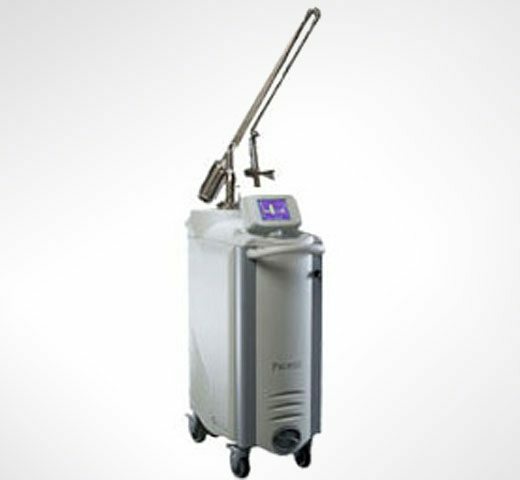 This laser is also useful for improving the appearance of rhinophyma. During your consultation visit, we’ll discuss the treatment plan from start to finish so that you’ll know what to expect. Side effects & downtime are usually moderate with Sciton, but will ultimately depend on the type of treatment we’re doing. Most patients will have post-procedure redness, swelling & skin weeping or crusting. Finally, the treated areas may remain pink for several months due to the skin healing process. However, this is easily covered with tinted moisturizer or makeup. Approximately 5 to 7 days of social downtime should be expected with Sciton. If you are preparing for a social gathering or event, this treatment should be done several months in advance to maximize the available healing time. When will I see results from Sciton? How long will they last? Your results from Sciton Profile treatment will be most evident once your skin has had ample time to heal. After the first ten days, your skin will mostly appear to be back to normal, but may remain pink for several months. Generally speaking, the results from erbium laser procedures will last for several years or even longer with excellent post-treatment skin protection & care.